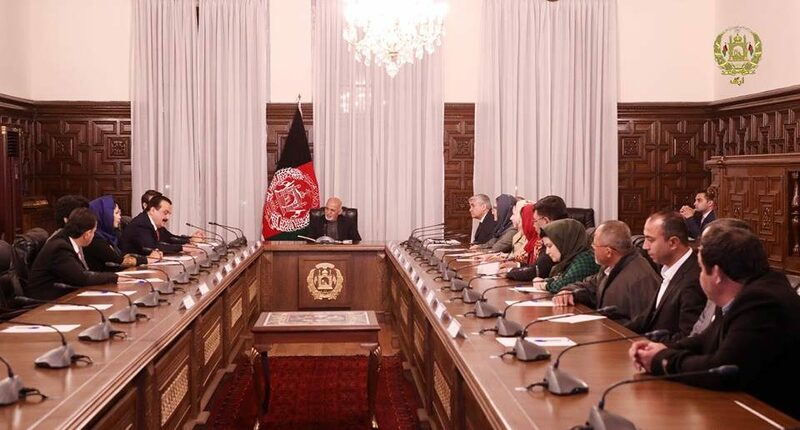 KABUL: President Mohammad Ashraf Ghani on Tuesday met with head of National Olympic Committee (NOC) and a number of athletes at the Gulkhana Palace, his office said in a statement. At the outset, reporting about recent achievements of Afghan athletes in international grounds, NOC head Hafizullah Wali Rahimi added that Nesar Ahmad Abdul Rahimzai has received the first medal of the World Youth Olympic, as well as Ms. Samira Asghari could get the permanent membership of World Olympic Committee, according to the statement. World Olympic Committee has assisted $100,000 for a wrestling club in western part of Kabul where has recently been destroyed in a terrorist attack. The amount would be distributed to those affected during the incident, Rahimi added. Appreciating Afghan athletes’ achievements, the president congratulated winning the first medal of World Youth Olympic to the country’s sport society, the statement went on to say. Pointing at international media reports on sexual abuse allegations against Afghan athlete girls, the president said the reports were shocking and no misbehavior is tolerable against athletes, the statement continued. President Ghani instructed the Attorney General Office (AGO) to conduct a thorough investigation into the issue. Afterwards, the country’s Attorney General Mohammad Farid Hamidi said that rule of law defended the people’s honor, adding a delegation has already started its work in this respect. He added the report’s primary results would be shared with the people of Afghanistan at its earliest.